I love when the postman arrives with exciting new crafty things in the post. 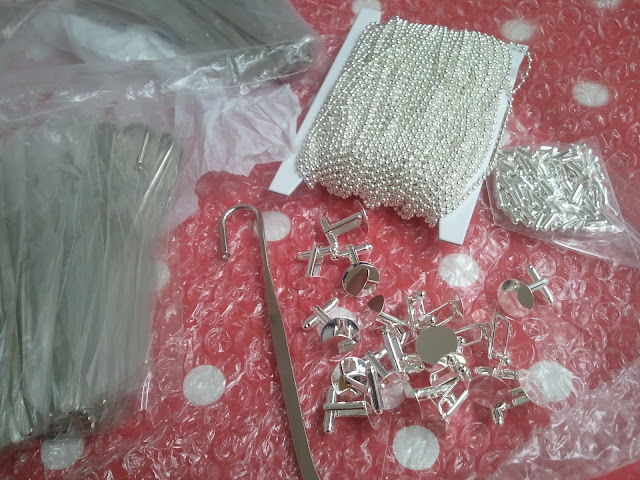 I ordered this bunch of goodies only last week from Karens Craft Supplies, and I'm, delighted at how fast they arrived. I had ordered ball chain a couple of times before from other shops but I got what I paid for by buying cheap supplies, so third time lucky I got a good quality chain at a reasonable price. I'll definitely be going to her again. I also thought I would expand my ever growing shrink plastic range, I already make earrings, necklaces, brooches, and rings. I ordered 60 shepherd hook bookmarks which I'll attach my illustrations too. 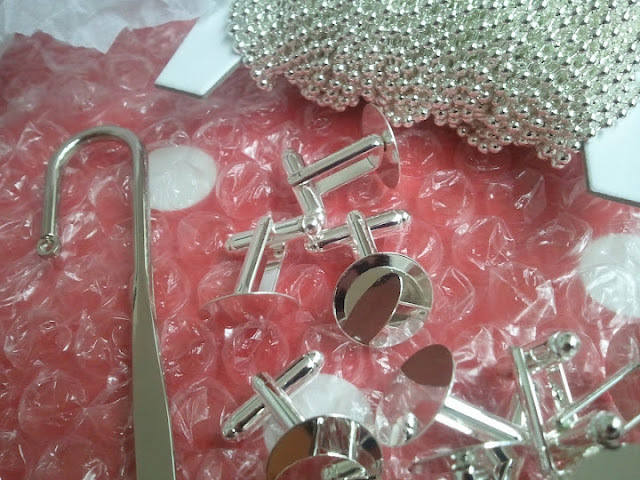 I also ordered 10 pairs of cuff links, I don't have that many products for men. I thought it would be fun to make hipster cartoon cuff links, for guys in their 20's and 30's.